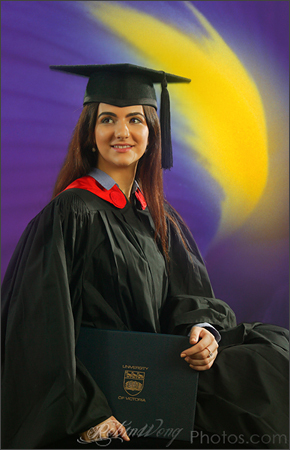 new standard of capturing studio graduation photos. 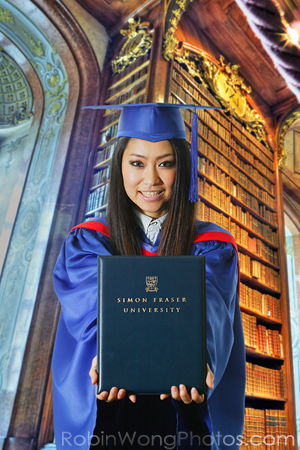 Graduation photography studio in Vancouver, a new way to capture graduation pictures in emind photo studio, we don’t use blue background or green background chroma key, we use Virtual Backgrounds scene machine. 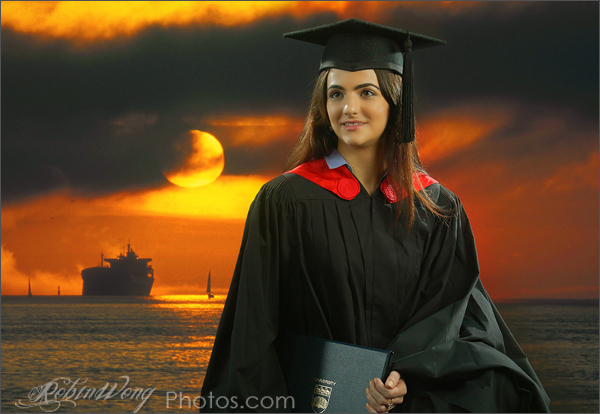 photograph portraits with life size view background, clients can see final result instantly on screen. 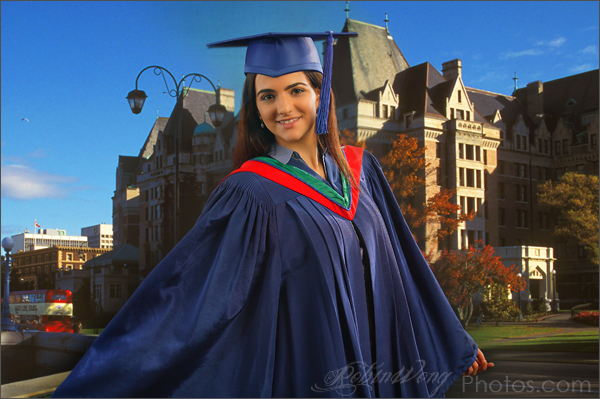 we stock all faculties of graduation gowns, hoods and cap for SFU, and gowns for UBC, University of Victoria….. we have over one thousand of live view backgrounds to choose from, view of outdoor gardens, trees, flowers, beach with sunset view, mountains… for all season, just photograph in emind photo studio with our VB scene machine. 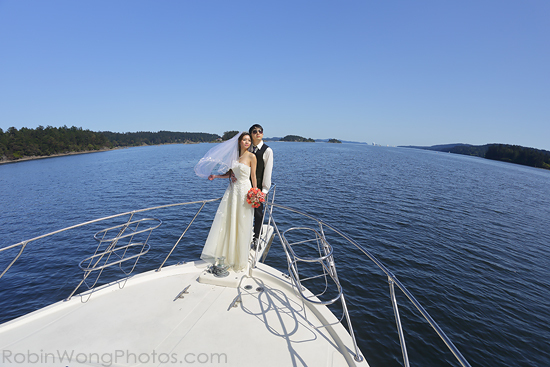 Promise every client a “sunny day” for their special day photo capturing. Give all of your formals an elegant look as if you were shot for a magazine. Gardens, sunsets, church interiors, stained glass…the possibilities are unlimited. 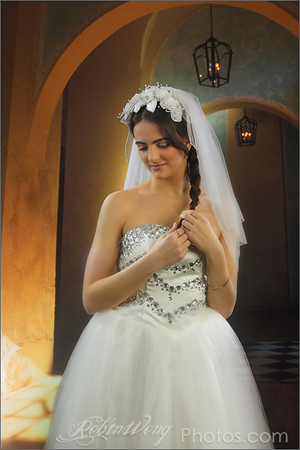 In emind photo studio, we have total control of the backgrounds and the lighting. with our new modify Virtual Backgrounds scene machine is the perfect way to put new life into modern, high end portrait photography. Robin Wong Photos offer contemporary, reportage cultural wedding photography and video services, that will capture the fun and vibrancy of your wedding. 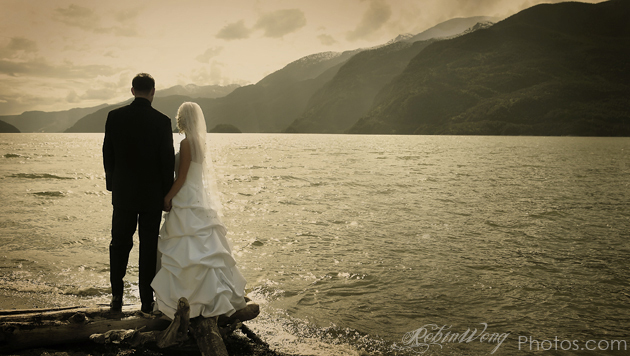 Your wedding photography will be an extension of your day, with every special moment documented and immortalized. Robin works in the background unobtrusively, capturing the moments as they happen. Robin will capture the little unnoticed events, that are missed by the guests, including every thought, feeling and expression. Internationally recognized award winning photographer Robin Wong is passionate about fine art photography - so much so that over the last 20 years Robin’s work has displayed an abundance of visual creativity with a classic, timeless feel. His photo journalism, life style portraits and commercial photography all exhibit his strong technical ability and demonstrate his aesthetic eye for fine art. Robin’s experience in traditional photography practices and sophisticated digital photo techniques ensure perfection when capturing the essence of your images. He has an uncanny ability to capture the moment with images that will stand the test of time. 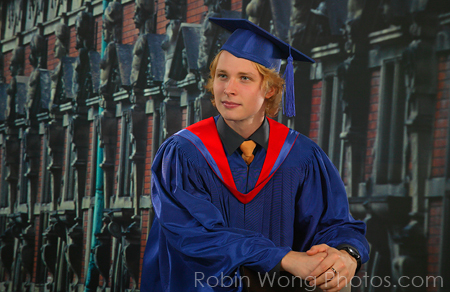 Robin’s talents have made him one of the foremost photographers in Vancouver. 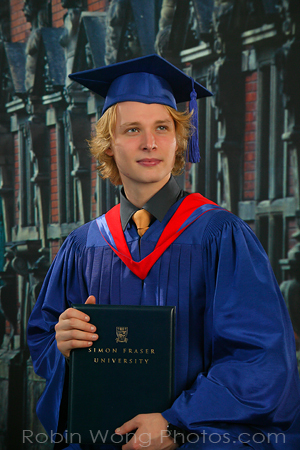 This entry was posted in Commercial Photographer, Corporate Photographer, Industrial Photography, Photo Studio Vancouver, photographers Vancouver, Vancouver Photographer and tagged Advertising Photography, Architectural photography, Brochure, Business Photographer, Catalogue images, Commercial Photographer, Concert Photographer, Editorial Photographer, Environmental Portrait, Executive Headshots, food photography, Grad pictures Vancouver BC, graduation gowns photo, Graduation gowns rental, graduation photography Studio, Graduation photography Vancouver, Health and Fitness, High School graduation photography Studio, professional grad photo studio, Studio, University grads image. Bookmark the permalink.